Abu Dhabi: Striving to create fundamentalist Islamic states as political entities is a flawed practice, an Islamic cleric and philosopher explained, as faith cannot coexist without freedom, and these types of states tend to force certain beliefs and practices on their subjects. 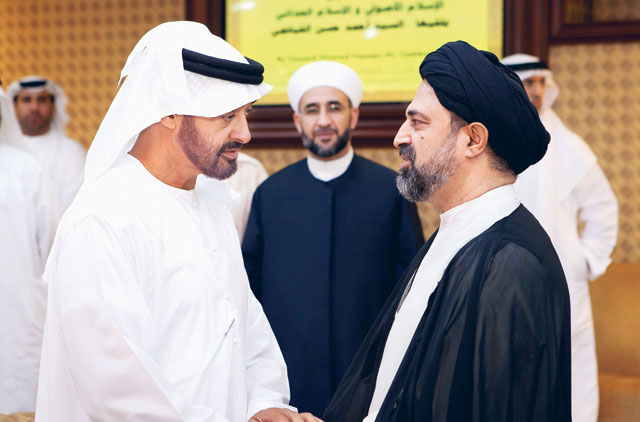 In a lecture attended by General Shaikh Mohammad Bin Zayed Al Nahyan, Abu Dhabi Crown Prince and Deputy Supreme Commander of the UAE Armed Forces, Islamic cleric Syed Ahmad Hassan Al Qabbanji explained that one of the flaws of fundamentalist Islamic thought is that it neglects human freedom and choices. Al Qabbanji, who is the secretary-general of the Liberal Islam Movement in Iraq, reiterated that forcing individuals to act in a manner that contradicts their personal choice produces a hypocritical society. "Forcing practices such as hijab [head veil], fasting or prayer on people is counter-productive. These women, as soon as they leave the country, will remove their headscarves, because they did not wear it out of conviction," he said. "That is one flaw of fundamentalist Islamic states. They have not succeeded in growing faith among its people. Faith cannot exist without freedom," he added. Al Qabbanji instead called for people to follow "true" Islam, which he termed as "Asil" (meaning "true" or "correct" in Arabic). He defined this type of Islam as one returning to the true values and meanings of Islam. "In fundamentalist Islam, the holy Quran and the Sunna [the way and sayings of the Prophet (PBUH)] are the basis of faith. Everything is in these two sources, and there is no need for any other external knowledge," he said. "True Islam, or Asil, means that faith in God and love of people are the base, and then come the Quran and the Sunna," he added. Humans should always strive to find the truth and be active in searching for reality. It was every person's responsibility to always aim to learn and discover more, through reading and being exposed to various ideas and disciplines, Al Qabbanji explained. "For an ‘Asil' Muslim, the brain is a tool to move forward and discover the truth. You can seek truths in other religions, and read works of other people and cultures. For a fundamentalist, the brain is a storage compartment for knowledge. It is a place to store what is perceived as truths from culture and parents," he added. Sayyid Ahmad Hassan Al Qabbanji is a strong advocate of contemporary Islam and liberalism. Born in Najaf Al Ashraf in Iraq in 1958, he has also written many publications on various religious issues, and translated works regarding modernity and religious liberalism.